October 28, 2018: This fall, Bottega Veneta introduces L'Absolu eau de parfum, an exceptionally exquisite scent. Offering a more intense take on the iconic leather chypre featured in the first eau de parfum, this new and distinctive interpretation honors the use of the finest natural raw materials synonymous with Bottega Veneta fragrances. Created by master perfumer Michel Almairac in collaboration with Bottega Veneta, the warm and enveloping blend is identifiable by a familiar leathery accord that is emphasized by jasmine sambac absolute and ambroxan for a sensual finish. 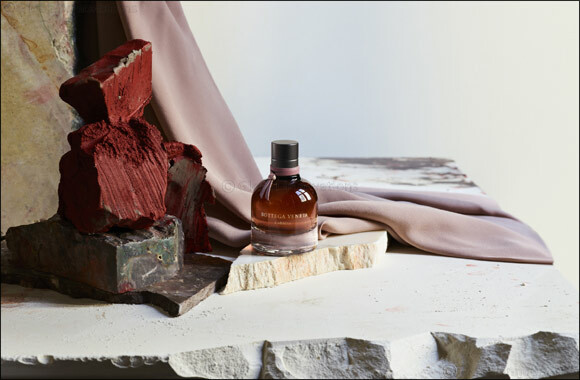 The addition of ambroxan, a multi-faceted ingredient evocative of natural ambergris, brings new depth to the final structure. The notes of this floral leathery chypre combine to deliver an aroma with musky, woody and amber-imbued accords. Amongst Bottega Veneta's fragrances, L'Absolu offers a deeply feminine essence that is truly special.